George is a dedicated expert in the field of banking, capital markets and real estate. He has played a pivotal role in the recent development of the Greek banking sector, contributing to the redrafting of the HFSF law which paved the way for the 2013 bank recapitalizations to take place and participating in many of the mergers and acquisitions which consolidated the sector. His finance practice includes advising clients, mainly banks, on their entry into syndicated loans, bond loans and restructurings, including voluntary and Article 99 processes. He has considerable experience in tender offers, rights issues and merger and acquisition transactions, with a focus on listed companies and privatizations.George has a broad expertise in the area of real estate, advising on traditional asset acquisitions as well as complex structurings and financings. He has acted in many of the landmark real estate transactions to take place over the last couple of years.George is a lecturer in corporate governance at Piraeus University. He previously taught at Alba University and at the Athens Exchange Training Centre on securities and derivatives issues. George Bersis and team advised certain foreign private equity funds and international investors on all the Greek law aspects related to the acquisition and financing of the largest M&A in the hotel sector to take place in 2015. George Bersis and team advised all the Greek banks in the financing of a large supermarket chain in anticipation of its acquisition by a strategic investor. George Bersis and team advised all the Greek banks in the refinancing of all the bank debt of a leading Greek fish farming company. 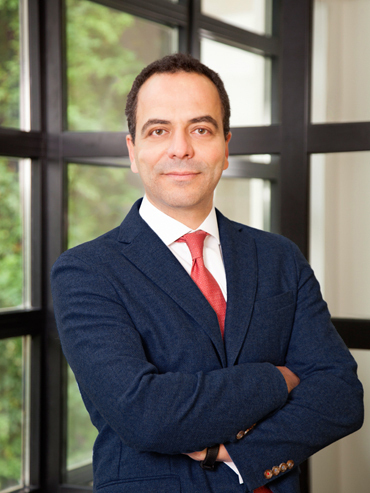 George Bersis and team represented one of the largest banks in Greece in its 2015 recapitalization, implemented through a series of capital-enhancing actions, consisting of certain mitigating measures, a liability management exercise, an equity issue with the offering of shares and the issuance of contingent convertible securities to the Hellenic Financial Stability Fund for the first time in Greece. 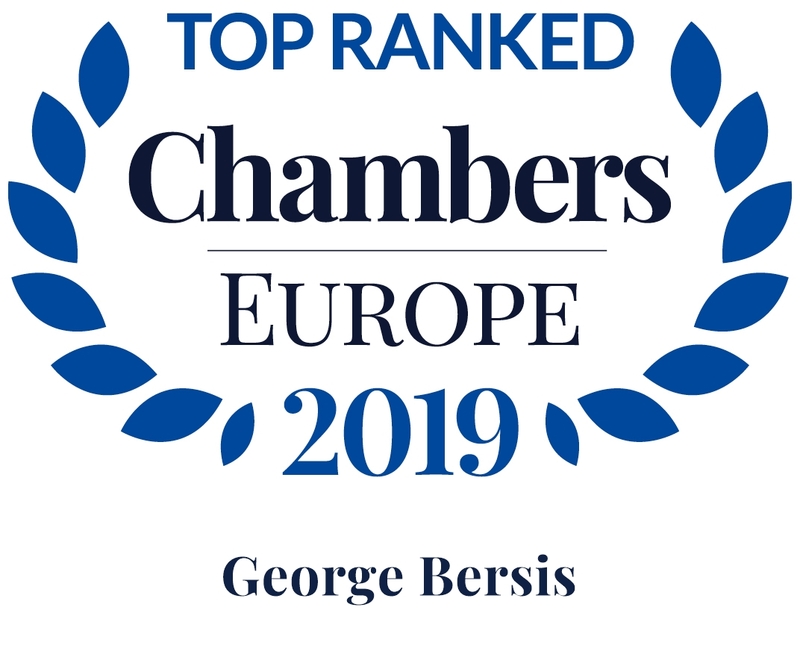 George Bersis and team advised a multinational fruit company in the cross border merger of its Greek subsidiary into its Dutch subsidiary and the establishment of a local branch. George Bersis and team advised the project company on the restructuring of its financing related to the construction and operation of a marina. George Bersis and team advised a leading Greek bank in a €300m financing of one of the largest energy companies of Greece. George Bersis and team advised an investor on the acquisition of a qualified holding in a Greek Bank. George Bersis and team advised all the Greek banks involved in the refinancing of a fish farming company’s loans and the acquisition of a majority shareholding participation through capitalization of debt. George Bersis and team advised an international company on the sale of one of its local top brands to another multinational company. Stathis Potamitis and George Bersis represented the preferred bidders in the acquisition of the Greek subsidiary of a distressed international group in the retail sector. George Bersis and team advised a group of foreign investors who became the cornerstone investors in a major Greek bank. George Bersis and team advised the preferred bidder in a lease-back transaction of state owned properties valued at €145m. George Bersis and team advised one of the leading Greek banks in its recapitalization exercise which completed successfully. George Bersis and team conducted the legal due diligence of two target banks on behalf of another banking institution. 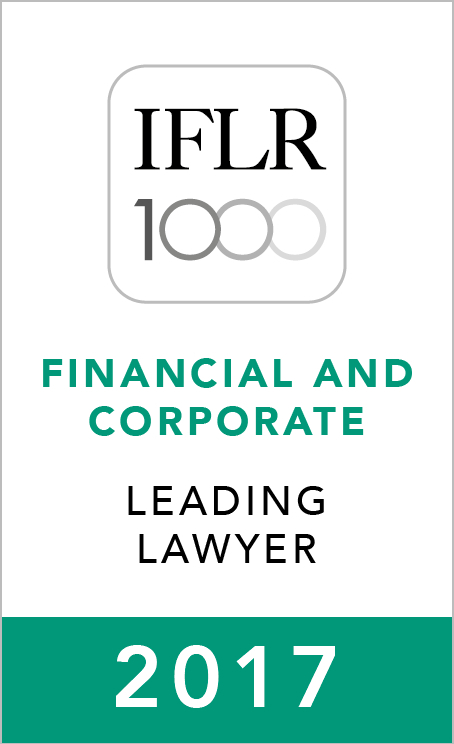 Published by Global Legal Group, 2015. This article appeared in the Second Edition of Global Legal Insights– Banking Regulation; published by Global Legal Group Ltd, London. 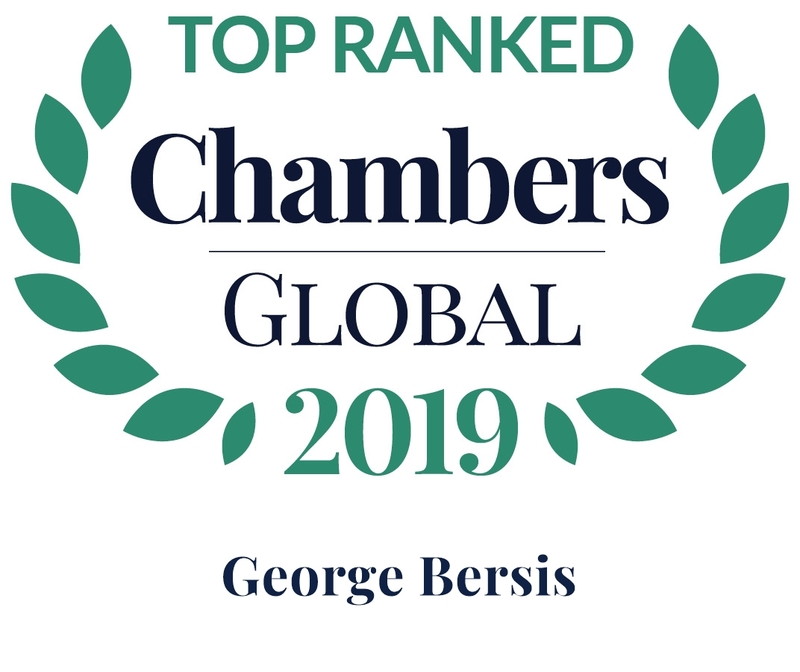 Clients highlight George Bersis's "commercial expertise" as a particular strength, as well as his solution-oriented approach.